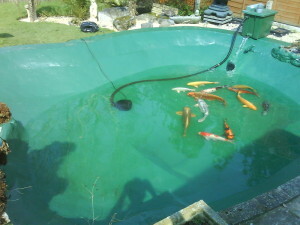 There are many times when a pond needs more than just cleaning to revive it. Sometimes a pond has reached a point when structural refurbishment work is needed in order to restore it to its former glory.It may be you need pond liner repair or perhaps your fish have now got a lot bigger and simply outgrown your pond so an extension is necessary. There are times we are called to rectify a poor install if a customer has had a bad experience with poor construction originally. Whatever your renovation needs may be we can advise you the best way to get the finished project you desire. Perfect ponds incorporates a team of construction specialists who will carry out any re constructive, restoration or refurbishment work that may be required. Far more than simply general builders, we have many years of specific experience and expertise in the construction and refurbishment of aquatic environments. 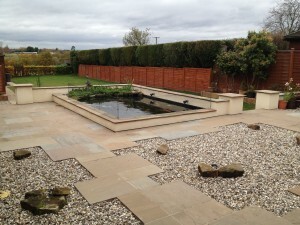 We can give your pond new life through re constructive refurbishment work, which can also include a redesign. We are able to offer advice and design guidance where required. Perfect Ponds and Landscapes will only leave the project once the pond is clean and fully operational including return of your fish and plants.